1 OWNER! 2016 Ruby Flare Pearl Toyota Camry SE "Sport Edition" Fully Loaded!!! Get The Best Of Both Worlds With This Hot Camry!.....Top Class Reliably & Known For Being One Of The Best Gas Savers! Yet Its Very Sporty Looking Inside And Out, Plus Fun To Drive! Speaking Of Interior This SE Comes With Sport SofTex Seats Which Is Easier To Clean And Resistant To Stains! Leather-Wrapped Steering Wheel With Red Stitching, Sunroof, Navigation, Bluetooth And More Apps On Touch Screen! Plus A One Owner CarFax Car!!!! Great Gas Mileage 34 HWY MPG. 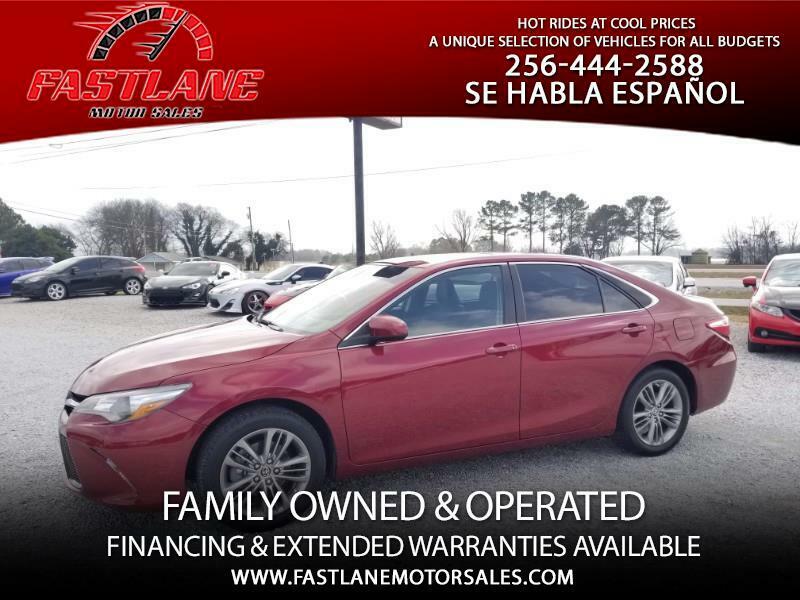 This Car Runs Like New And Has Just 69K Miles, So You Know This Camry Will Provide You With A Stressfree Ownership Experience That Toyota Is Known For. Again This Gem Is Ready For The Road And Priced At Just $15,950. Plus Tax & Title For AL Residents. No Hidden Fees! Financing Assistance Available.